Posted on June 26, 2016 June 24, 2016 by Rob HoskingPosted in philosophy, Thought for the day, WalkingTagged Down in Splendour, Kiwi Music, Paul Tillich, philosophy, Straitjacket Fits, Tramping, Walking. I only started celebrating New Years when I left home: it was a bit of a culture shock to find the rest of the world made such a big deal of it. Back home, New Years was – weather permitting –in the middle of haymaking. Staying up to midnight to see the year in was the worst possible indulgence, if you had to get up in the morning to milk cows and then spend much of the day in the hay paddock. So the first few New Years away from home kind of made up for it. They’re a bit of a blur. Some were memorable: a three day-er in Whakatane, with a 21st on December 30 (happily, a Friday) spilling over into a New Year’s party at the same venue the following afternoon/evening/night/morning/ and then New Years Day on Ohope Beach. Or a toast to the New Year on Mt St John in Auckland, a few years later: or stopping half way across Mangere Bridge at midnight having just picked up a friend from the airport. Others were spent in tents in places like the Kaimanawas, and one memorable one in a cave on the edge of the Beansburn River, watching the rain come down, the river raise, and – further up, the snowline come further down the pass. 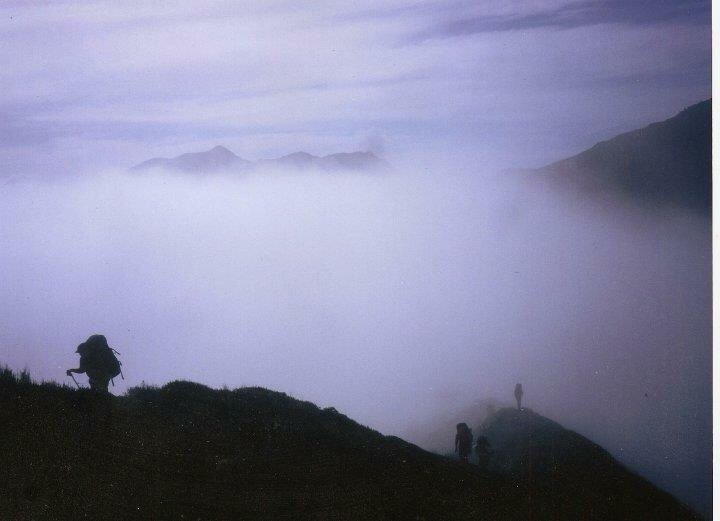 There was an exhausted, altitude sickness one in Kathmandu in Nepal, in the late ‘90s. The last one I saw in was the Millennium, from the top of Mt Victoria. A couple of years later, having done the Heaphy Trail and torn an Achilles tendon, I was with a bunch of fellow trampers at the Last Resort in Karamea, awaiting the midnight hour. He looked a bit shocked when we just stared blankly black. I was on about the third or fourth beer, and it was starting to taste soapy – a personal warning indicator light. Checked the watch. It was 11:15pm. O to hell with this – I’ve seen in enough New Years, I thought, and limped off to the bunkhouse. In that spirit, I don’t think I’ll be seeing 2016 in at midnight. Unless either the daughter or the neighbours get me up, in which case, there might be a certain lack of the seasonal spirit. But, in the spirit of the New Year, here’s the Kinks, with probably their last really decent single. he sounds like a drunken uncle rising unsteadily to his feet and beginning New Year’s (or maybe a 21st ) speech. So here’s to everyone who had a crap year and is planning on a better 2016. There’s plenty I know like that. And for everyone else, too: here’s to better things. The past is gone, it’s all been said. Posted on December 31, 2015 December 31, 2015 by Rob HoskingPosted in Good Things, holidays, The Way We Live Now, Tramping, WhakataneTagged Better Things, Heaphy Track, Kaimanawas, Kathmandu, Kinks, Nepal, New Year's Eve, Tramping. I’m a Wellington convert. It’s not the first city I experienced – that was Auckland, which was the nearest big city to where I grew up – but it’s the first city I lived in when I left home at 17 to go to Polytech. 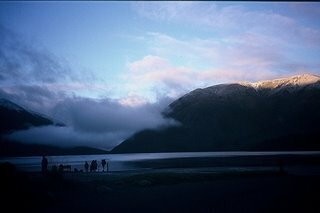 It would be too much to say I fell in love with the place: fell in strong interest might be a better way of putting it. But when I got the chance to move back in 1995 I grabbed it with both hands. 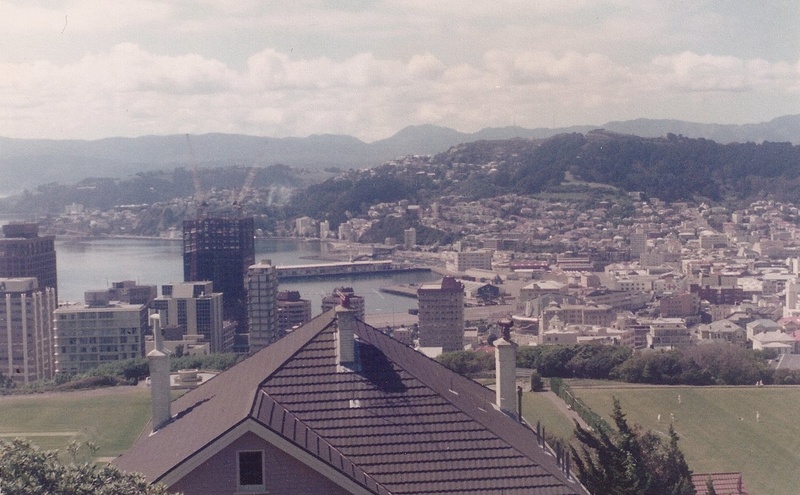 My first conscious exposure to Wellington as a place was probably Close To Home, that fairly awful seventies attempt by New Zealand tv to produce a local Coronation Street. (It was so bad no-one has even Youtubed it.) There was a pan during the opening credits, probably filmed from the Shelley Bay road, of the houses on the Hataitai ridge, jammed along the hilltop like a row of ill-fitting teeth. It looked different to any other city I’d seen. I’d been advised by the school careers advisory counsellor to apply for the Wellington course, rather than the much closer Auckland Institute of Technology course. In retrospect I don’t know why, but on such things lives are changed. So in early Feb ’82 I boarded the Northerner at Pukekohe railway station with a couple of bags, a few goodbyes on the platform and a few butterflies in the stomach. I am not sure if the next bit is rose-tinted retrospectivity, but I have a vivid mental picture of the train rushing and roaring through the tunnel at the bottom of the Ngauranaga Gorge and the city bursting on my forehead like a water bomb. It was that dramatic. Very Wellington. When there has been a run of bad weather, Wellington can seem like a mist-enshrouded village at the bottom of the island, mordantly wrapped up in its own intrigues. On good days, where the city throws off the manky duvet and seems to hum the chorus from Itchycoo Park…it is just fabulous. And this is one of the things about Wellington’s famous weather: it doesn’t muck about. Auckland weather tends to change every few hours, or at least it feels that way. Wellington weather is intense, one way or the other. At the end of the first week I dutifully wrote my first letter home. Now, you have to remember I was a country boy, and a fairly young, green one at that. So I posted it the only way I’d known, in the letterbox at the front gate. The postie didn’t take it. Bloody slack mail service in the big city, I thought, and put it back the next morning. After about the third day of collecting my outgoing letter along with the incoming mail, my landlady asked me what I thought I was doing, and explained that this was one thing they do differently in the big city. Absorbed the city’s features, which to me involved absorbing a brandy and dry or two at the Southern Cross – in those days very much the Polytech pub – then weaving down Cuba St, browsing in the second hand bookstores – there were two where Olive Café now is – and Sylvio’s Second Hand Records and Tapes, where the café at the corner of Cuba and Garrett Streets now stands. There was also a good second-hand bookshop up the stairs. Then waiting at the bus stop outside the Dixon St Deli, watching those friendly red buses pick their way through the rain. Then there was the library. Now, the small town I was from had a library: it was about the same size as the Lido café. (It has since been improved, btw). So here was this magnificent old mansion of books, acres and acres of them. History politics and, to a less extent, economics drew me in. (at that stage I wasn’t really into novels). On a bleak Wellington midwinter day, the old library building, with its cosy rooms and general smell of old books, carpet and raincoats, was a snug haven of knowledge. Yes, I know the new library building – its nearly 20 years old but it still seems new – has won architectural awards. It still doesn’t have the character of the old building. 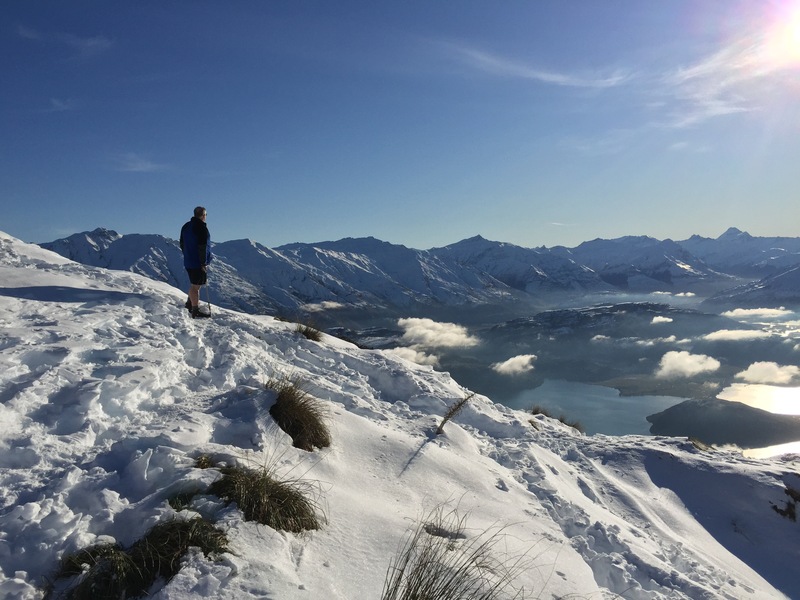 Later, at Uni in Auckland, Wellington became a gateway to adventure. I got into the Auckland University Tramping Club, made some friends for life. You can’t beat spending a few days in the bush with someone as a way of finding out what they’re really like, particularly when things are going wrong. I remember a couple of trips, hitching down the North Island: one time getting here a day early (you allowed for two days hitching down) and sleeping under a tree in the Botanical Gardens. (not the best places to bivvy, I was later told. Bowling Greens were the best bet if you didn’t want to be disturbed). Somewhat later, back in journalism and writing about IT at Computerworld…. Auckland and I were never a good fit, and the chance came up to shift to the Wellington office. That’s me, I thought. Wellingtonians talk about their city in a different way to Aucklanders. There’s a greater self-consciousness, which at times can be a bit much. I’ve got to do a slight tangent here (something I hardly ever do)* and discuss the Auckland Problem. This is a complex issue, but boiled down to one sentence: the rest of the country, especially those in the South Island, have really got to get over Auckland. And Auckland has to get over itself. 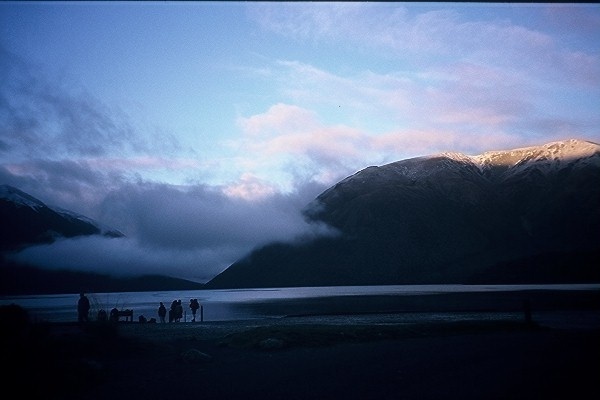 One of those tramping trips I mentioned, this would have been in December 1994, virtually every time we stopped and people asked where we were from, and we’d say. ‘Auckland’ the answer would be ‘Won’t hold that against you’. Now, the first time, this was mildly amusing. Almost. When you’ve heard it the 29th time that day, you just roll your eyes and grit your teeth. Wellingtonians weren’t quite that bad….however just before I moved here some report had come out saying Auckland got more rain than Wellington. Which did not surprise me at all, but I got fed up with people pointing it out to me after I moved here. Wellington does have a flavour of its own. Not long after I moved here, out on a run and doing something to occupy the mind, I made a mental list of all the people I knew in Auckland who I thought would suit Wellington. Mostly the artsy and bookish types, and funnily enough number of them have since moved here. Other things: just the sheer ease of getting around the place. I now live not far from that row of ill-fitting teeth mentioned in the first paragraph and, more importantly, 10-15 minutes’ drive from the airport; eight minutes from the Hospital; 15 minutes from downtown. Testimony from others: my brothers’ partner, on a visit from Auckland, looking out the window and musing, “in most places in Wellington you can look out the window and see something interesting happening”. An old Uni colleague, returning from the offshore financial markets, observing that although he and his family will end up in Auckland “Wellington is full of interesting, intelligent people”. I can see myself living in other cities, but I can’t see myself actually liking it. That makes Wellington different. * I also hardly ever have a sense of irony. Here’s some tales for the Slip Slap Slop Brigade, now that summer is finally making its tardy appearance. 5. First indication I had of a thinning pate was a long cycle ride about 10 years’ ago. It was high summer and I put plenty of block on…but failed to make allowances for the air vent on the top of the cycle helmet. Result: a nasty rectangular blister on the scalp. 4. Burns on the underside of the feet while canoodling on a beach. Everything else covered. Made walking difficult for a day or two. 3. The ears. A real pain if you sleep on your side. 2. Backs of the legs, working in the market gardens one summer as a teenager. A bit tender that night, sure enough: the real kicker was when I got out of bed and straightened my legs. The skin sort of snapped just behind the knees. Nasty. 1. This is the worst – didn’t happen to me, but was a legendary incident in the Auckland University Tramping Club. A tramp which ended up on the top of Ruapehu as part of the post-exam Summit Luncheon Party. Sunny day on the snow. The victim had put on sunblock almost everywhere…BUT he wasn’t wearing underpants under his shorts. The reflected rays off the snow…well, you get the picture. You’d never think of putting 15 Plus on your carrot and beetroot, would you? What I Did in My Holidays….